I know that there’s been a lot going on, but you might have missed this announcement at the beginning of May. We know that we are going to have the Battle for Zendikar this fall, and with it, the possible (maybe even probable) reprinting of the Zendikar fetchlands. Before any of that, I want to think about what will be in the duel deck. Recent history tells us that there will be one new card and one old card as the foil promos. Considering that Modern Masters 2015 has the three legendary Eldrazi, that doesn’t leave us with much. I think that It That Betrays is the best candidate to headline an Eldrazi deck, because of how well it plays with the signature mechanic of Annihilator. 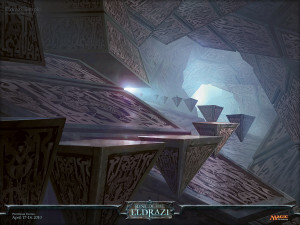 It is possible that Kozilek gets a special printing, since its brethren were used as prerelease cards or in an FTV set. 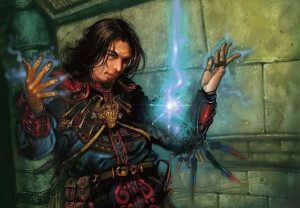 It would also give a real thematic connection to one of the uncommons that I believe will be in the duel deck set: Inquisition of Kozilek. Inquisition started its upward trend as a budget alternative to Thoughtseize, but in Modern and Legacy, most of the cards people worry about cost less than three. It’s pretty good as disruption in and of itself. It’s an uncommon from five years ago, and that’s why it has gotten to about $10. For other Eldrazi cards, I don’t think we’re going to get All Is Dust, or Eye of Ugin again. Eldrazi Temple will likely be in there. I’d imagine the deck is base green, for the amazingness that is Awakening Zone. Spawnsire of Ulamog will likely be in there too, and Gelatinous Genesis. Maybe Eldrazi Conscription as well. I’m not going to speculate about the Zendikar side of the deck. The Eldrazi Spawn makers were all red, green, and black. The opposite colors would be blue and white, and it might be a landfall deck. It might be a level up deck, since that template is tough to use even in a supplementary set like Conspiracy or Modern Master 2017. Could be something totally different, a Defender deck, perhaps. Too many options are open to us, including the presence of fetchlands. I think that if Level Up is ever to get a chance to shine again, now would be that time. Level Up was supposed to showcase how humans became heroic, and became stronger to resist those titans. It’s also an incredibly fun deck to play, as cards like Training Grounds and Venerated Teacher become total bombs. Level Up is also present on Lighthouse Chronologist, Kargan Dragonlord, and Transcendent Master. 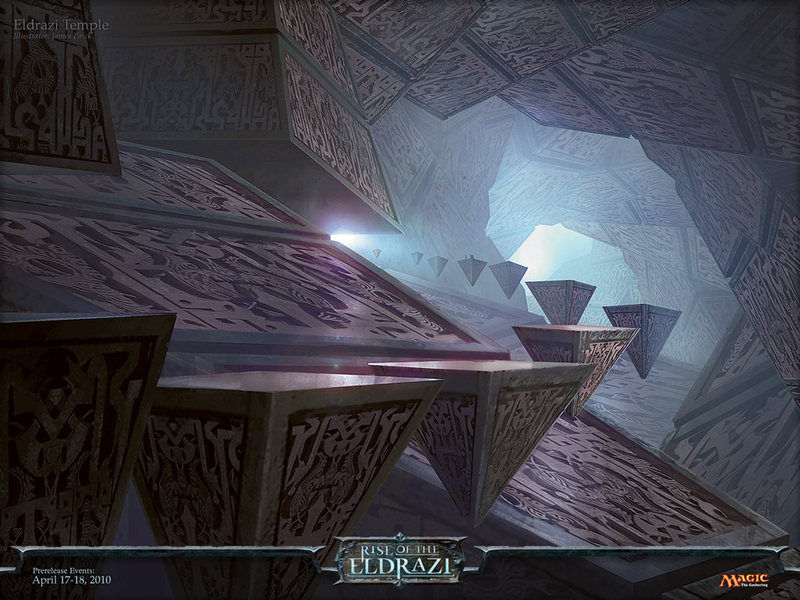 Maybe it’s Eldrazi ramp vs. Level Up, a matchup that might be fun to play given the right decks and development. 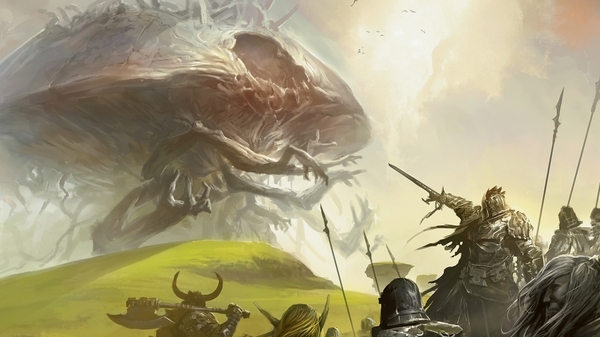 What I can say is the following: Get your Legendary Eldrazi now. Go ahead and pick up Ulamog, Kozilek, and Emrakul at their cheapest price, due to Modern Masters 2015. All is Dust and Eye of Ugin too, while you’re at it. I would be moving out of everything else Eldrazi-related. I’d expect Inquistion of Kozilek to be at least a two-of in the deck, hitting it harder than the shot Remand took for being in Jace vs. Vraska. Also keep in mind that Remand sees a lot more play than Inquisition has, which helped keep the price on Remand high. Legendary Eldrazi. Modern Masters is affecting the prices and we are likely to get new versions of each, like we did with the Dragonlords. Eldrazi accessories. Eye of Ugin, All is Dust, etc. Again, supply is at its greatest, and this is especially true for All is Dust, as it was a GP promo for a whole season. It That Betrays, Eldrazi Conscription, etc: Expensive things that would fit well into a targeted, preconstructed deck. I wouldn’t be shocked if things like Oracle of Mul Daya showed up either. Inquisition of Kozilek: Get out now! Finally, allow me a moment to toot my horn. Just three weeks ago, in a piece about sideboards, I mentioned that Kolaghan’s Command was at a mere $2/$6 and it was ticking up in popularity. It broke $6 this week and is back to $5, and the foil has seen gains to over $10. Here at MTGPrice, we’re trying to help. Just give us a chance. Ulamog is the only Eldrazi titan still on Zendikar. Kozilek and Emrakul left the plane, meaning your speculation of three “new” versions is not possible for Zendikar. Where was the storyline given that two of them left the plane? Was it in a novel or something? haha, I really did just laugh when Cary said Wizards can’t do something because it’s “impossible”. Cute but wrong as you said Cliff. Goblin Guide as a card in a fast duel deck is absolutely possible. Like we’ve said, anything is an option at this point! Nice article Cliff. What is your take on Inquisition’s spike in the last couple of days? Eldrazi hype running around? As for the Duel Decks, wouldn’t 2 Inquisition in the Eldrazi side (plus a newly revamped Eldrazi Lord, as that seems likely as the new set preview inclusion) outbalance the value for this deck? I can’t see IOK being reprinted in a duel deck, especially considering what we have seen in the last couple released. Maybe as a rare in Battle for Zendikar perhaps. The recent spike in IOK’s can be put down to the prevalence of burn in the current meta. It is just too risky to fetch a shock for a t1 thoughtseize these days. As long as burn remains strong I can’t see it dropping too significantly.